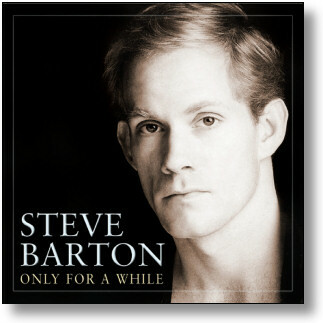 Steve Barton became known to theatregoers for originating the role of Raoul in Andrew Lloyd Webber's West End production of 'The Phantom Of The Opera' in 1986. He later went on to star as the Phantom in the Broadway production in 1990. Most of his career was spent in Europe where he starred in 'Cats', 'Beauty And The Beast' and the phenomenally successful 'Tanz Der Vampire'. Tragically, Steve passed away in July 2001 at the age of 47. This compendium of songs showcases Steve Barton as a song stylist performing material from the musicals 'Someone Like You' and 'Emma', his final recordings. Steve's love for Brel is represented in his interpretations of 'If You Go Away', 'The Port Of Amsterdam' and 'Jackie' alongside familiar Cole Porter classics such as 'It's Delovely' and 'Begin The Beguine'. This very special collection of unreleased recordings appropriately concludes with a song written and performed by his son Edward in a tribute to this father. Extra special hidden bonus track!